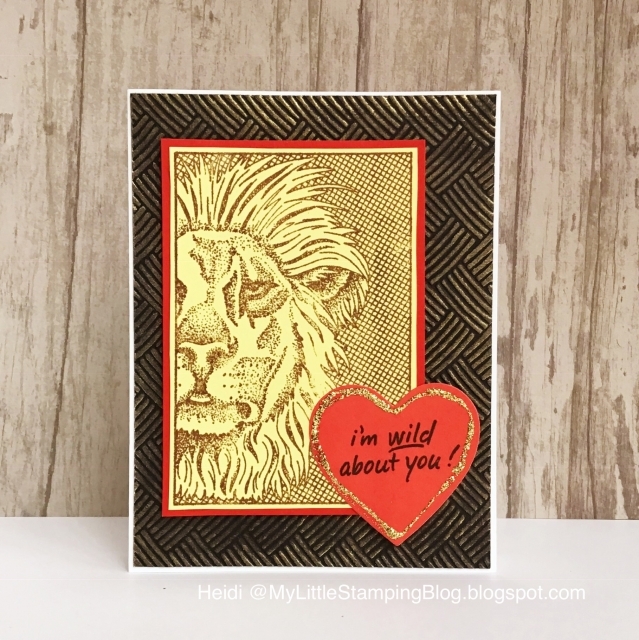 Supplies: I Brake for Stamps Lion Face, Stampendous Changito Wild About You stamp set, Versafine black and Vintage Sepia ink, Darice embossing folder, Brilliance Galaxy gold inkpad, Stickles gold glitter glue, all other supplies from my stash. Great Valentine for the guys in your life! Love your embossed and inked background with this proud lion. Whooooo! I love this stamp! Wonderful male card!